Tuesday...prep day...first day of my new lessons...here we go. At our last in service we took a peek at our writing scores and oh man...we need to rock and roll in science. My goal is to really work the reflection and writing component in each grade level. I have worked hard on the vocabulary piece, but one thing we discussed for our olders is to continue to use our science reflection questions as great short answers. For our littles, we must continue to ask them to use their writing to show what they know. Any great writing ideas for a science classroom teachers that only see kids one hour a week? This week, we will be learning about what can hurt and help plants. 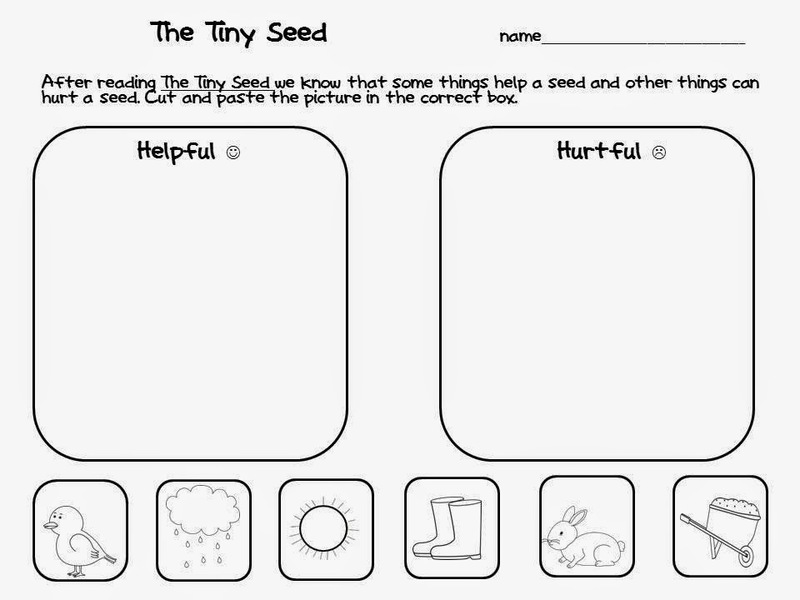 We will be using The Tiny Seed as our book focus...we will use our writing to answer the question "what helps plants...what helps you?" Our first graders will be focusing on life cycles and mealworms. We will read a quick book on mealworms...not before we take a quick quiz. We will use our observation and writing skills to show what we know. We will be focusing on Wisconsin fast seeds and our kindergarten pumpkins. We will watch time lapse photography and writing about the similarities and differences between fast plants and annuals. We will be using an engineering activity to help us understand how to send sound through a solid. They will be using an engineering lesson based on "telephone" which I am adding to my new packet on sound ready by the end of the week...I need it by the end of the week, so I guess I need it done. (procrastinator, oops). We will be using other sheets to review the process we take to figure out how to communicate with our best friend next door, after being grounded, with no electronics...problem solving 101. We will be working on understanding the solar system along with the planets. 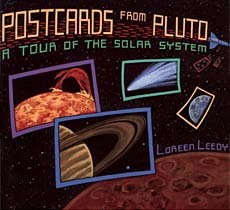 We will be reading Postcards From Pluto. Each person will be picking out of the hat to determine what planet they need to write a postcard about and then that will turn into their group for planet research and presentations. We will have a cloze reading lesson and then each group will get books to help them create their own postcard to share next week. We will continue the lever lessons from FOSS. We are working on setting up an experiment and following directions. Side note... I am giving them a rubric and reflection sheet to fill out on our cardboard arcade. They will self assess and then share with their groups what they think they should get. We will also be using an activity out of my packet that has students picking a card with a major invention. They must illustrate and explain that invention as it was in the past, how it is now, and what it could look like in the future. I am so glad to see that you try to incorporate writing into your science instruction. :) Writing about our learning shows that we know what we know. We were writing in packets for FOSS, but we need to focus more on paragraph writing. I will focus on great short answers which is a technique we have learned at an in service. Wish me luck. You know how kids love to write.